Regardless of tempo or the amount of percussion employed, this music is soothing sounds. Sona Jobarteh’s music wraps and enraptures us in an aural swaddling of sounds, enticing and encouraging us to rest, relax, bliss out, drift off, dream and enter into an altered state of consciousness. Deep down we all have had a primordial experience: the female voice is the first voice we heard, the first voice to bless us, lullaby us and comfort us. We never lose the longing to have a female voice in our inner ear, a voice healing our hurts, sharing our joys, reassuring and reorienting us when everything seems to be going south. Sona’s sound is the warm bosom and soft heartbeat with which we so closely identified as infants. Back then we didn’t yet have a clue to language in the sense of knowing what the words meant even though we instinctively understood and clung to the emotional content of a woman singing softly to us. As it was when we were babes, it is as we experience Sona Jobarteh’s mature sounds. We might not understand a word of what she is singing but that in no way limits or stops us from fully embracing what we hear. While we might be tempted to take this music for granted as instinctive maternal sounds, such an assessment would be a major mistake. This is not simply natural sounds that any mother can make. What we have here is a conscious development in the merger of traditional West African cultural roots with contemporary sounds of the West, a West that has been deeply influenced and even significantly shaped by its encounter with Africa even as that same West rejects and/or exploits and continues to marginalize African contributions. Regardless of our contradictory and often negative encounter with the west, particularly for those of us reared or residing in the West, the fact remains not only have we affected the West but the West is now an integral part of our identity. 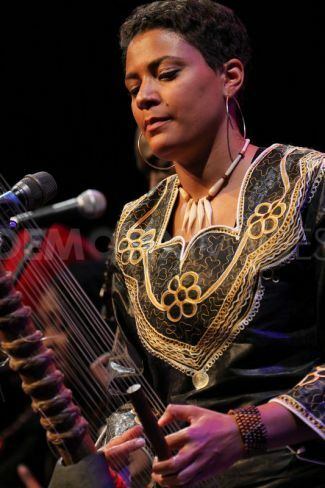 Sona Jobarteh has studied music at the conservatory level, all of that training and development does not simply disappear when one picks up a traditional instrument such as the Kora, which is well over a thousand years old. At the end of this Mixtape are four tracks that illustrate the differences. 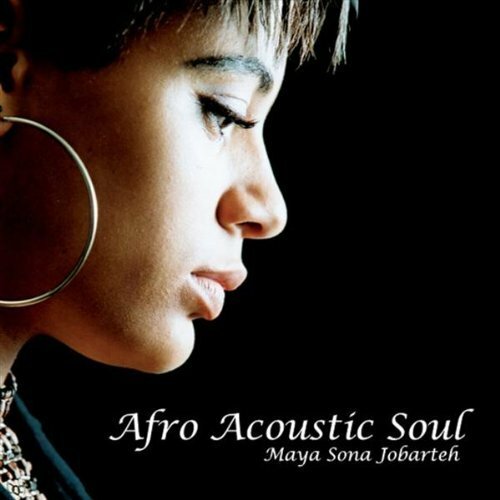 Two tracks, “Loving You…” and “Love Like This” are from Jobarteh’s debut album, Afro Acoustic Soul. It is not just the lyrics focusing on personal heartache, longing and desire (the themes of at least 75% of contemporary popular music from female artists in the West, especially the English speaking countries), there is also an overall Western harmonic and rhythmic approach. Without being too far wrong, I could over-simplify the formula and tell you look for hooks and rhymes over a backbeat and that would pretty much cover the majority of popular music, but though that would not encompass the whole of the music, such a formulation would accurately describe the bulk of contemporary music. Hence, when you listen to the two tracks from Jobarteh’s debut what you hear is an attempt to infuse traditional roots into a contemporary sound. 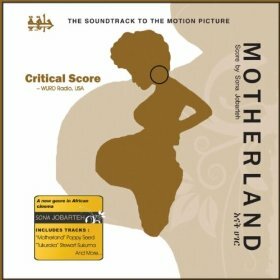 The last two tracks, “Taama” and “Hizab” are from the Motherland film soundtrack that Jobarteh composed. In this case the inverse prevails as she attempts to infuse modern elements into an overall traditional sound. Whether we like it or detest simultaneously being of both Africa and the west, the fact is we are both old and new; our aesthetic is grounded in the traditional even as we fly forward into the unorthodox, into the unknown, into the previously unexplored. What is most distinctive about a great deal of contemporary black music is that we renew ourselves by returning to our sources. For example, Africa easily embraces hip hop because hip hop reflects the African penchants for narrative and talking mucho toro poo-poo (verbal dexterity for the enjoyment of playing with language). In a similar way, there is an aesthetic of lyricism that is often loss in contemporary music, partly because so much of today’s music is inorganic, is machine produced—the computer has no tender touch. Apart from what humans add to the making of the sounds, metal has no intrinsic warmth. It is human breath and touch that produces warmth, tenderness, and also rage, and the whole range of human emotions that inorganic matter does not contain. Moreover, we live in an age where the dominant culture dictates that everything is a product. Producing product necessarily alienates one from investing feeling in the product. Or to put it another way, using a completely different paradigm, the food one cooks for people we know and love, will taste different from the food we cook simply to make a buck. It is not just a matter of technical expertise, it is also a matter of audience and intention. If we don’t know and love our audience, it is hard to make major emotional investments. And by “know” I do not necessarily mean be acquainted with on an individual level. The distance between the artist and the audience must be close enough for there to be an exchange of human emotions. In the age of mass and mechanical reproduction of artefacts, bridging the distance becomes more and more difficult the more mechanical, repetitive and pro forma the production of the artwork becomes. The music that Sona Jobarteh is making would lose its inner glow if she had to sing the same songs night after night, each time to a totally different audience with whom she is not familiar. You cannot fake intimacy. The recording process makes it possible to capture an intimate moment and create an artefact that can be played over and over again that will reflect some of the captured intimacy. Nevertheless, the real issue with music and with other art forms as well, is not how to make an intimate piece of art, the problem is how to keep making intimate art. Without a bond with an empathetic audience, the continuous making of beautiful music is impossible. Or, as we used to say, you can’t keep producing hip music if all you keep playing to is square audiences. Ultimately, the audience is more than a passive receptacle for art. The audience is actually a partner in the making of the music. By now, I’m sure you are wondering what this audience tangent has to do with Sona Jobarteh. Well, Sona’s music requires us to uplift and expand ourselves, whether we are traditionalists living in a Gambian village or fresh young things rolling through urban metropolis such as London, Paris, Amsterdam, New York, Abidjan, Dakar, so forth and so on, regardless of who we are, to fully feel what Ms Jobarteh is offering we have to move a bit beyond what we are used to, what we already know. The brilliant surface beauty of this music is actually minor compared to its inner splendor. I cannot say for certain that Sona Jobarteh consciously set out to make a music that walks equally on two legs, a music that both embraces us and challenges us, a music that is simultaneously familiar and foreign; regardless of who we are there is something here for everyone to study, appreciate and be enriched by. There is much more, but let us deal with that once we have a chance to see and hear the directions in which Sona Jobarteh takes her music. The whole of Africa, both continental and diaspora is struggling with the question of how to be both African and an integral part of the new world. This beautiful music offers us one wonderful response.